Ecclesia Gnostica Catholica (E.G.C. 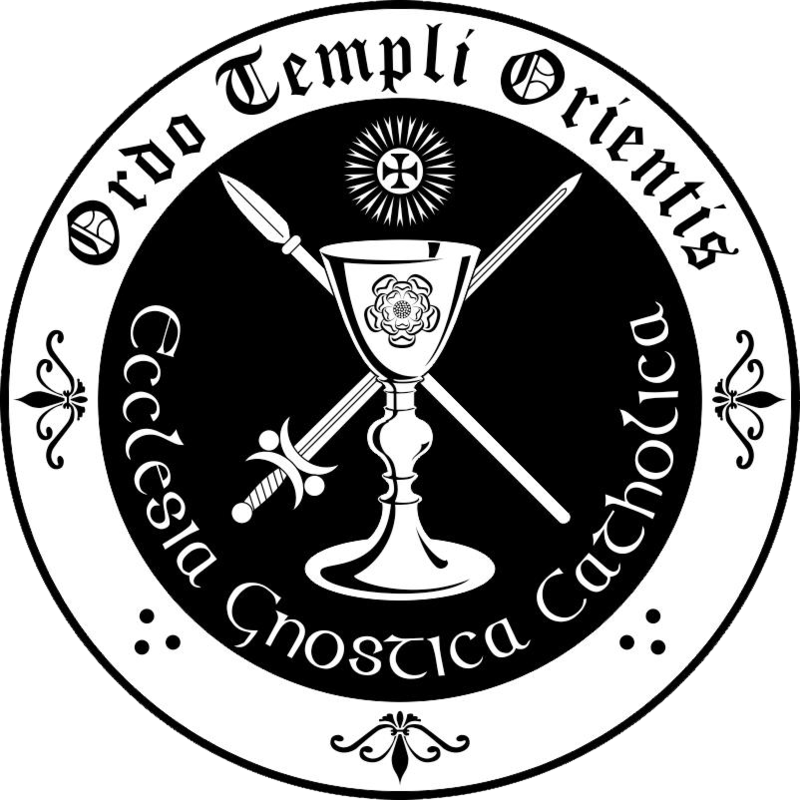 ), or the Gnostic Catholic Church, is the ecclesiastical arm of Ordo Templi Orientis (O.T.O.). Blazing Star Oasis fulfills all functions of E.G.C. The primary activity of E.G.C. is the celebration of the Gnostic Mass, as set forth in Liber XV. The Gnostic Mass is the central public ritual of the Ordo Templi Orientis. E.G.C. has accepted the Law of Thelema as the basis of its theology, doctrines and sacramental theory. Its ecclesiastical powers are founded on a spiritual succession from the Master Therion, Aleister Crowley. Its rites and ceremonies are eclectic in form but are fundamentally Thelemic in character. It provides religious or ceremonial experience dedicated to the advancement of Light, Life, Love, and Liberty through alignment with the Law of Thelema. A public celebration of the Mass is one which is open to members of the public or which is announced by any O.T.O local body. A private celebration of the Mass is one at which the individual participants are all initiate members of O.T.O. of at least 0° and may be held for initiates of higher degrees. Any celebration which involves an ordained Bishop, Priest or Priestess as one of the primary officers is an official event. Any celebration of the Gnostic Mass held within Babalon Sanctuary at Blazing Star Oasis is, by definition, an official event. The Master of the Oasis is responsible for enforcing Order policies. All rites of E.G.C. are available through Blazing Star Oasis. These include Baptism, Confirmation, and Ordination. Blazing Star Oasis’ clergy are also able to offer the related rituals of E.G.C. such as Consecration of the Oil, Feasts for Life, Administering to the Sick, Last Rites and Greater Feasts for Death. We can assist members in arranging for Weddings in accordance with the laws of California. There are three recognized subclasses of Church membership: the Clergy, the Laity and Bishops in Amnity. The Clergy is composed of the Father or Patriarch of the Church, Tau Silenus; the Primate, Tau Apiryon; the Bishops, Priests and Priestesses, and Deacons. Our Sovereign Patriarch is Frater Superior Hymenaeus Beta, O.H.O. of O.T.O. He approves all official rites and ceremonies used within E.G.C. He has the sole authority to suspend, revoke, and reinstate any clerical status or membership within E.G.C. The Patriarch sets guidelines for the Eucharist as well as the performance of the Mass. He can modify or approve optional texts to be used in celebration. The Primate within the U.S.A. is the National Grand Master General, Frater Sabazius X°. As Presiding Bishop, he supervises the affairs of E.G.C. within the U.S.A. The Episcopate or Bishops ordain Priests, Priestesses and Deacons of E.G.C. They perform baptisms, confirmations, marriages and last rites, in accordance with local laws. Bishops must be Sovereign Grand Inspectors General VII° of O.T.O. The Priesthood includes both Priests and Priestesses with Sacerdotal power and authority to celebrate the Gnostic Mass. They coordinate their work with a Bishop who may delegate to them the authority to ordain Deacons, perform baptisms and confirmations, offer last rites; and perform weddings. They are Initiate members of the degree of Knight of the East and West (K∴E∴W∴). They have the responsibility of serving as official representatives of E.G.C. The Diaconate is composed of the Deacons as ordained assistants for the Priesthood. Prior to Ordination they must be a member of the Laity. They must be initiates of at least Second Degree (II°) but are not considered as official representatives. Initiate members of the Laity may undergo Novitiate training, under the supervision of a Bishop, to prepare them for ordination as Priest, Priestess or Deacon. They may celebrate the Mass as Novices, but are not formally recognized as official representatives. Lay Membership or the Laity of E.G.C. is conferred by the public ceremony of Confirmation, which must be preceded by the ceremony of baptism. Lay Membership conveys no authority or special privileges within E.G.C. Baptism is available to any person over the age of 11 years old. Confirmation is open to any person at the age of puberty. Prior written consent is required for anyone under the age of 18. Sabazius X°, Primate of E.G.C. and National Grand Master General in the U.S.A., maintains a website called The Invisible Basilica of Sabazius which offers essays, rituals, and other material pertinent to E.G.C. Blazing Star OTO YouTube channel: Lectures & other videos on Thelema, Magick, Crowley, OTO, Yoga, and more! The Grady McMurtry Project: A collection of letters, poetry, essays, and photos.